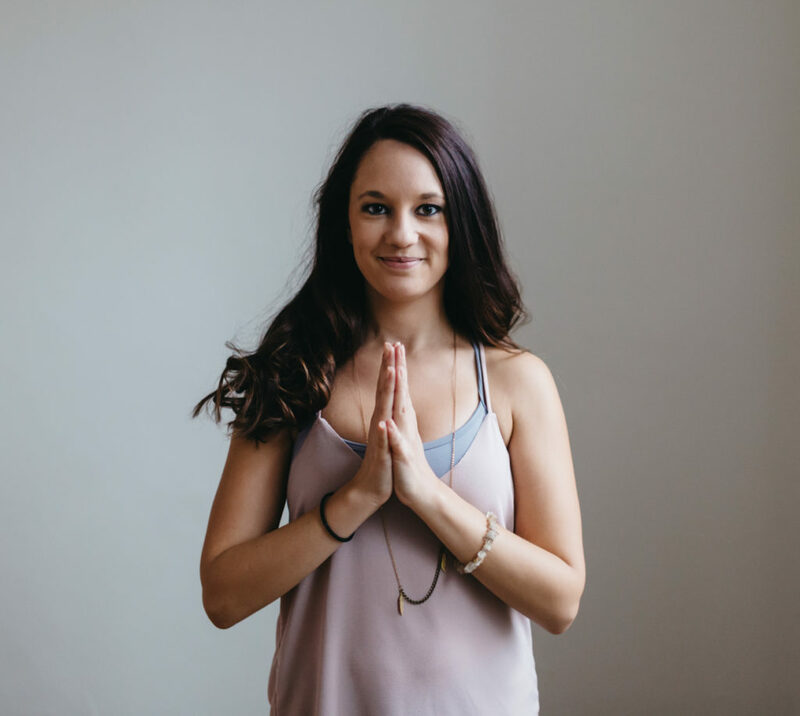 Spots are Available for Spring Yoga with Chantelle! 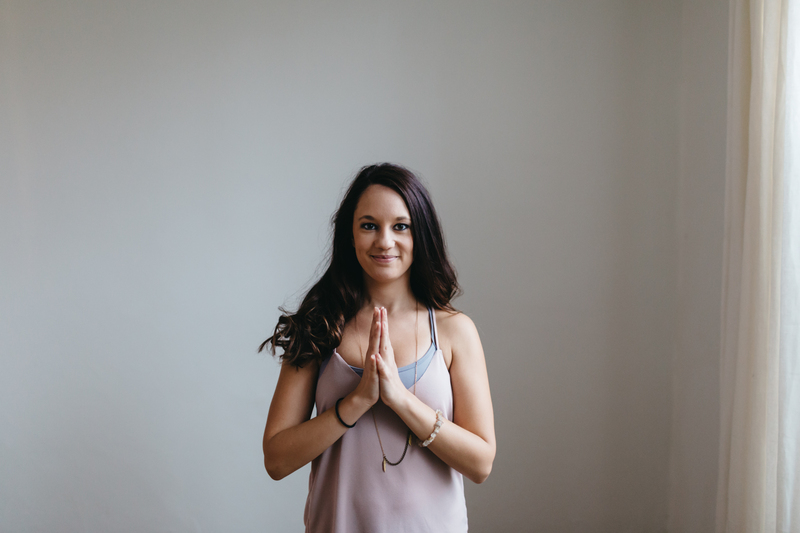 Bring lightness in mind, body and soul this spring with a 7-week session of classical hatha classes with Chantelle. Email info@pranayogawellness.ca or call 226-234-7565 to register! Are you bundled up right now in an extra thick sweater and slippers dreaming of sunny, warm summer yoga? When the roads are slick, and the snow is accumulating it can feel like a challenge to stay active. We have all been there— some days it’s a struggle not to burrow under a blanket and hibernate. To help you embrace the winter season we’ve created our Warming Winter Yoga infographic (below) to share easy ways to warm up your yoga practice during any cold day. The key to avoiding cold yoga? Keep it simple. Embrace yoga poses that engage your entire body, stretch often throughout the day to keep moving and don’t forget the power of the ujjayi breath. It’s a great way to warm up whenever you are feeling chilled both on and off your yoga mat. Which poses do you incorporate into your winter yoga practice? 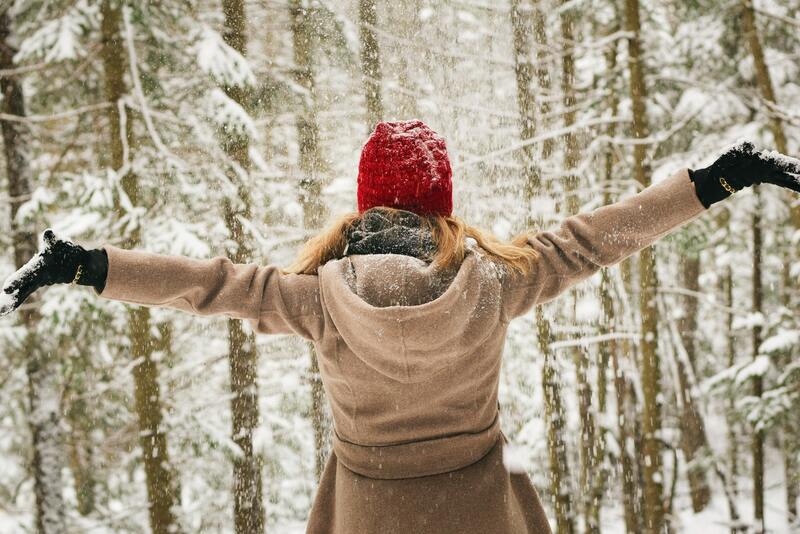 What tips do you have for staying warm and practicing self-care throughout the coldest days? Share your feedback with us on Facebook, we’d love to hear from you! At Prana, we love building positive, long-lasting relationships with our clients. These are the types of relationships where you grow together, form connections, and build empowering stories. An example of these great relationships is the one we’ve developed with Thames Valley Children’s Centre (TVCC). 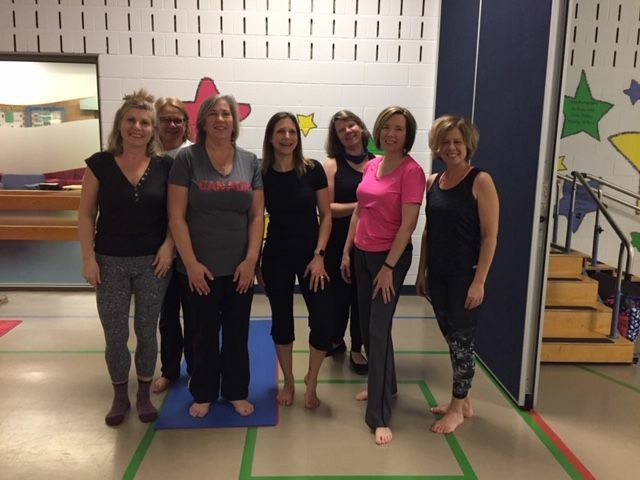 In September 2014, Michelle Allen, Manager – Communication, Education & Technology and a member of the Thames Valley Children’s Centre (TVCC) Wellness Committee, called Prana to teach an introductory yoga class for their team. That single class has since expanded to two lunchtime yoga classes per week. September 2019 will our five-year anniversary with this amazing group of dedicated professionals, which we are very grateful for! We recently asked Meghan McTavish, a member of the TVCC Wellness Committee to share TVCC’s workplace wellness vision and explain how it’s helped their employees feel welcome and happy to come to work every day. Prana: TVCC’s value statement includes “believing people know themselves and their situations best” and an emphasis on building supportive environments, how does TVCC incorporate these key values into the workplace? TVCC: We incorporate our values into the workplace by providing a supportive environment not only for our clients but also for all our employees. To this end, we focus on offering programs and assistance encouraging and supporting employee physical and mental health. TVCC works closely with our staff to accommodate any limitations and restrictions so staff can excel and thrive in their position. We try to ensure each team member is respected, valued as an individual and provided with what they need to be successful. Prana: In addition to Prana’s yoga sessions, in what ways does TVCC invest in employee wellness and why? Additionally, every October at TVCC is Healthy Workplace Month when the wellness committee organizes an entire month of activities and information aimed at promoting living a healthy lifestyle. We also focus on adding value through our group benefits program which includes employee discounts such as gym memberships, the Healthcare of Ontario Pension Plan (financial wellness), our Employee Assistance Program (EAP) and we offer ergonomic training and consultations. 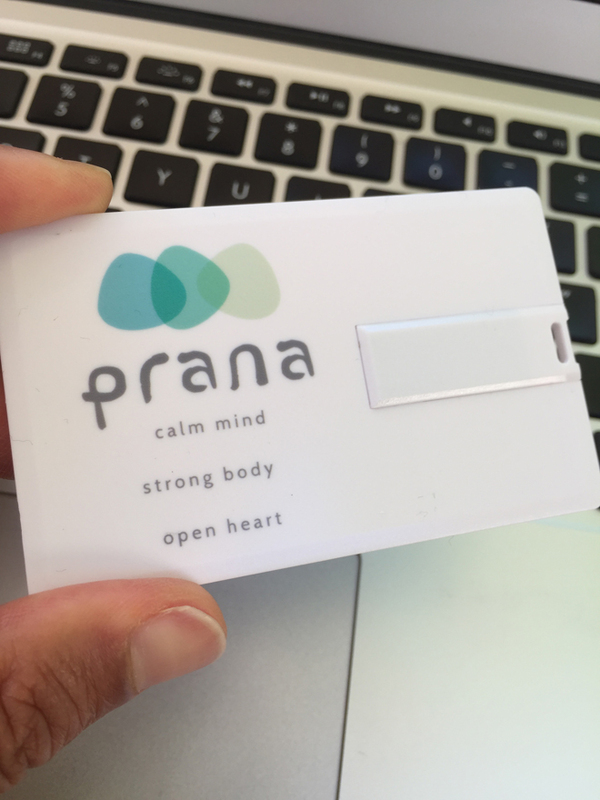 Prana: What has the impact of your investment in employee wellness been for employees and your organization? TVCC: Offering wellness in the workplaces allows employees that have busy work and home schedules to work towards wellness goals over their lunch hour and to do so in a fun, open environment with friends and co-workers. At the TVCC London location, there are over 200 employees working in different areas. 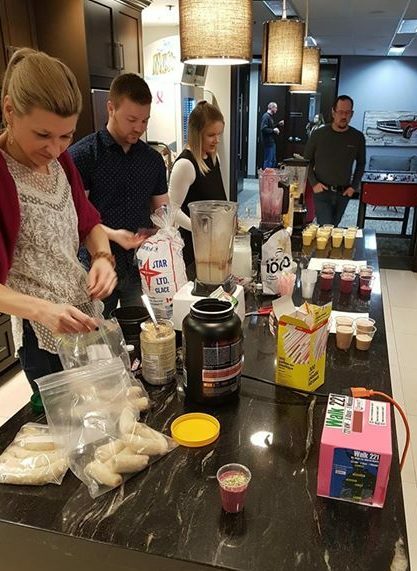 Wellness activities are offered to everyone and these activities have shown to connect employees over a common interest while boosting positive morale amongst staff. Offering these opportunities promotes a healthy lifestyle and also allows staff to try something new. Prana: Are there any key learnings or takeaways TVCC has discovered while implementing its wellness initiatives? TVCC: One important take away we have learned is the importance of offering activities that can include staff in our regional offices. At TVCC, we have offices around Southwestern Ontario and it is important to be mindful of how we can incorporate and promote health and wellness at each location. Finding an employee at each regional office with an interest in taking a lead at facilitating these activities has been very beneficial for success. Making the information easily accessible to the regional staff either by putting it in our weekly internal newsletter or on our shared computer drive as well as allowing regional staff to video conference in on “lunch and learn” activities. Prana: What advice would you offer to organizations who may still be hesitating about implementing wellness initiatives into their workplace? TVCC: Wellness is important for everyone. It is important that we take care of ourselves both physically and mentally to be the best we can be. When it is encouraged in the workplace it helps promote positive behaviour changes both at work and home. With the right education, skills, motivation, and social support, people change behaviours. Our hope is that the wellness programs we offer at TVCC will help staff adopt and maintain a healthy lifestyle and have a fun time doing it! Are you taking time for self-care during the holiday season? Every year it seems like one moment the kids are heading back to school, and the warm summer weather is fading, then we blink and snow is falling while the Santa Claus parade winds its way through downtown. Where did the time go? The holiday season always seems hectic, full of hustle and bustle, family get-togethers, and endless to-do lists. So often we forget ourselves during the holidays, and that’s why I was so grateful when my friend and fellow blogger, Carolyn Martyn from Shine with Carolyn asked me to contribute to a post in her holiday self-care blog series. 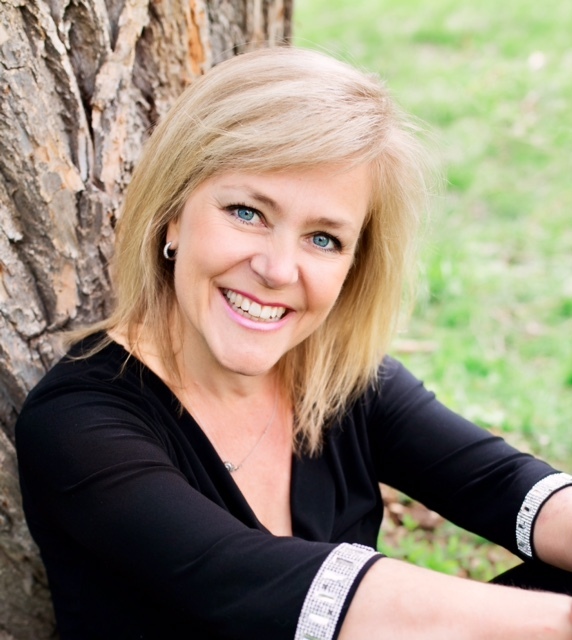 Carolyn focuses on women’s fitness, mind set, body image, and wellness; topics near and dear to my heart. She recently sat down with a number of vibrant women– I was humbled to be selected as one of them– to learn how they thrive during the busy Christmas season. The strategies and tips shared are wonderful and easily adaptable to any lifestyle. You can read the tips I offered in the “Christmas Cheer from more Sparkly Women” post below. Seasonal Wisdom from Firecrackers I know! Christmas Cheer from more Sparkly Women! Learn more about Carolyn and her blog by visiting Shine with Carolyn to add more “inner sparkle” to your life. And don’t forget to share your tips for thriving during the holiday season on our Facebook page. It’s always so motivating to walk into a workplace genuinely dedicated to employee happiness and wellness. The minute I walked into CARFAX Canada (formerly CARPROOF) I could see their organization, led by their wellness committee, is passionate about creating robust programming and resources to address stress and mental health at work. 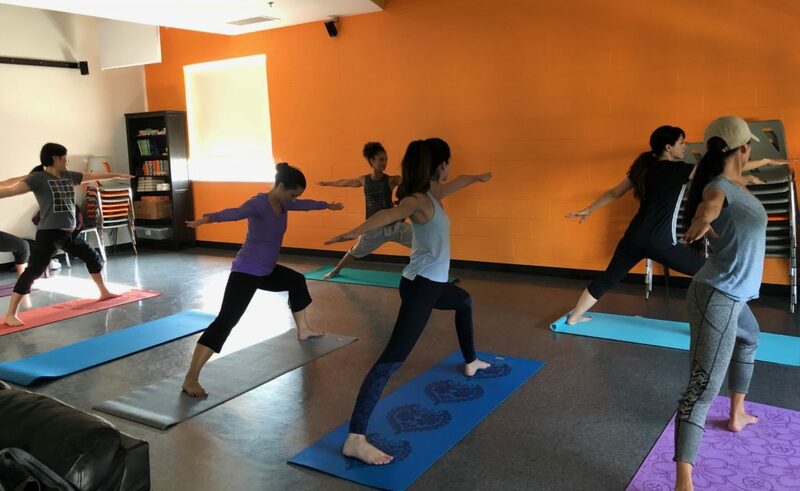 Initially recommended by a mutual contact, Prana connected with Meredith Huffman, Accounts Receivable Coordinator & Wellness Committee Chair for our (RE)Boot Camp class. Since then, CARFAX’s relationship with Prana has expanded to include mindfulness sessions, meditation classes, and regular yoga classes. We’ve been able to see many organizations and have come to recognize CARFAX as a corporate leader in the area of well being at work. Prana recently connected with Meredith, to learn more about how CARFAX promotes an environment of workplace wellness. Prana: CARFAX Canada prides itself on “empowering its team to perform and grow.” What does empowerment mean to the organization and why has this been chosen as one of your core focuses? CARFAX: We are a people-driven organization. In 2016, our goal was to introduce values driven by the employees: Be the Solution, Embrace Change, Commit and Deliver and Powered by Passion. We realize our team is our greatest asset, so we focus on empowering employees to seize opportunities to learn and grow. To support this, we’ve chosen to invest in the future of our employees with a comprehensive leadership training program and the creation of employee professional development budgets so employees can continually grow and develop new skill sets. Prana: In addition to yoga classes with Prana, in what ways does CARPROOF invest in employee wellness? 1. Mental Wellness: In 2015, several members of the Human resource team and myself participated in the United Way Mental Health in the Workplace (Implementing the Standard) pilot project. This was the fuel that we needed to propose the leadership team create a separate budget for mental wellness. We then used the Guarding Minds Survey to gather feedback from employees on how CARFAX was doing in regards to mental health. In 2017 and 2018, the mental wellness committee & many from our middle management team became certified mental health first aid providers. We also have had a speaker series including powerful talks from speakers who suffer from or are recovering from mental health issues. 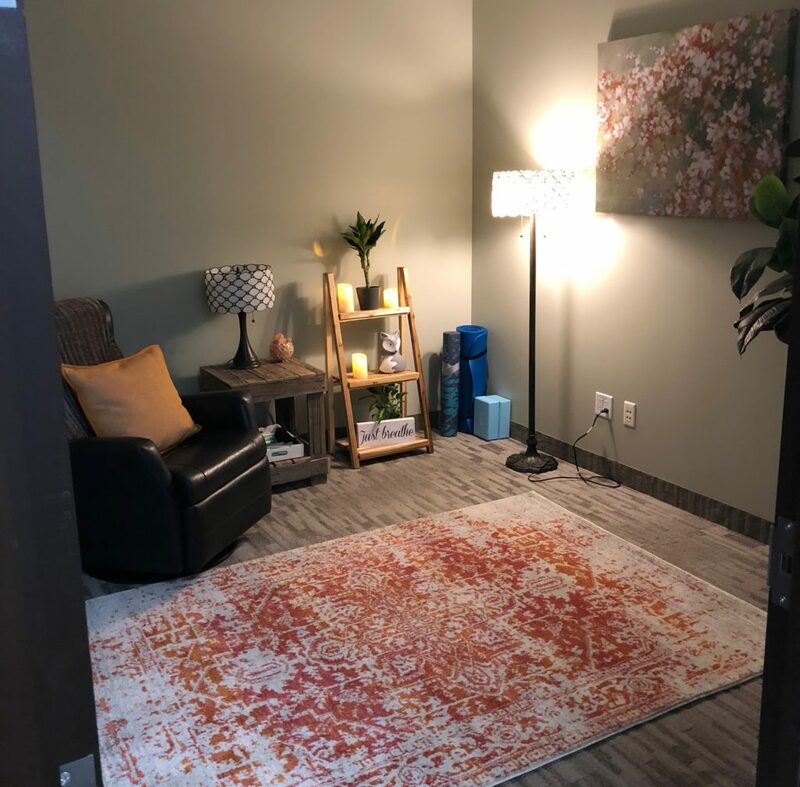 With 65% of our employees in favour, we also recently transformed a vacant office on our floor into a “quiet place” for our employees to go during the workday to recharge, relax, stretch or pray. We’ve coined this room the “Fox Zen” and have had regular bookings since our unveiling during 2018’s Mental Illness Awareness Week. 2. Physical Wellness: Perhaps one of the more visible ways that we promote a culture of wellness at CARFAX is the fresh fruit that we provide in our main kitchen every morning. We have worked with a London-based company for the past 3 years that supports local farmers and also gives back to the community by donating part of their proceeds to support school breakfast programs. We have had a variety of subject matter experts come to CARFAX to speak including registered dietitians, naturopathic doctors, chiropractors, massage therapists, sleep professionals, athletic trainers, and mindfulness coaches (Chantelle). This year, 40 employees also participated in biometric screenings, with a follow-up session with a qualified professional to explain what the numbers meant and how to enact lifestyle changes to improve their scores. CARFAX also promotes physical health through our after work “boot camps,” yoga classes, and stair climbing and pedometer challenges. 4. Career & Self-development: As mentioned previously, we offer leadership training for all employees. Due to high demand within our organization, courses that were once only open to people managers have been made available to the entire company. Staff also have their personal development budgets. 5. Work-Life balance: Work/life balance is continually top of mind for us at CARFAX Canada. We don’t hire employees; we hire people who have commitments, families and passions outside of the workplace. We recognize that sometimes we can all use a minute to take a brief pause and as mentioned above, this was why we felt the quiet room was so important for our employees. 6. Community/Global Wellness: In addition to the other committees listed, we have a separate Corporate giving committee that supports community and global wellness. Historically, we select one charity per year to focus all of our office fundraising activities around. In 2018, CARFAX chose the Make-A-Wish Foundation as our charity of choice. By July, the employees at CARFAX had raised $10,000 to send a little girl by the name of “Cordelia” to Disney land to make all her dreams come true. All CARPROOF/CARFAX CANADA committees & employees also supported an employee who set out on a personal fund-raising initiative this past July. She walked a total of 221 km, with all proceeds raised going to support a local mental health initiative here in London, ON. Additionally, this past September, we worked with Blood Services Canada to bring an in-house “blood typing clinic” to the London CARFAX office, followed by a group donation drive at a nearby blood donor clinic. CARFAX: Probably the most significant impact of our comprehensive wellness programs here has been in the culture that we have been able to not only create but maintain, despite immense growth and changes within the organization over the past few years. From an ROI perspective, these types of wellness programs serve to both attract and retain key talent, as well as increase employee loyalty & productivity- the cost of which cannot be overstated in the increasingly competitive tech space. On an individual level, the feedback we’ve received has been very positive when it comes to our programming. Prana: Are there any key learnings or takeaways CARFAX has discovered while implementing a corporate wellness program? CARFAX: Yes! Aim to obtain the support from your executive team. If you are fortunate enough to have a senior leader(s) who is willing to “champion” your programming, or proactively communicate your ‘larger’ wellness initiatives, this will help when it comes to getting others at your organization on board. At CARPROOF, this is the kind of support that we are so fortunate to have. In my experience, it makes others stop and take notice when their leader(s) endorses it. Prana: What advice would you offer to organizations who may still be hesitating about implementing a corporate wellness program? CARFAX: As Nike would say, “Just do it!” The relative effort is small, but the impact is HUGE on workplace culture. When my human resource manager and I formed our Health & Wellness committee in 2013, our budget was tiny, but we were resourceful. We simply used what we had in terms of people, resources, and money to make a real impact on the culture here. Start small by form a committee of like-minded co-workers who share your passion for “workplace wellness.” If your organization is like ours with multiple departments, attempt to recruit at least one committee member from each. I’d also suggest that you meet regularly- once per month is great, as we’ve found that it’s enough to keep the initiatives fresh and constant. Gather feedback & use employee testimonials– If you want to keep program engagement high, be sure to survey your participants regularly -after each initiative if possible! Listen and learn from their feedback and be sure to ask them what impact(s) your initiative may have had on them. It has been our experience that employee testimonials are often all the motivation someone else needs to try to make a positive life change. Transparency. Connection. Sincerity. These are the words I associate with Martina Bijan. Martina responded to our 2014 call out for yoga teachers and when I sat down with her for the first time, it was clear she had some standards about where and how she wanted to teach yoga. 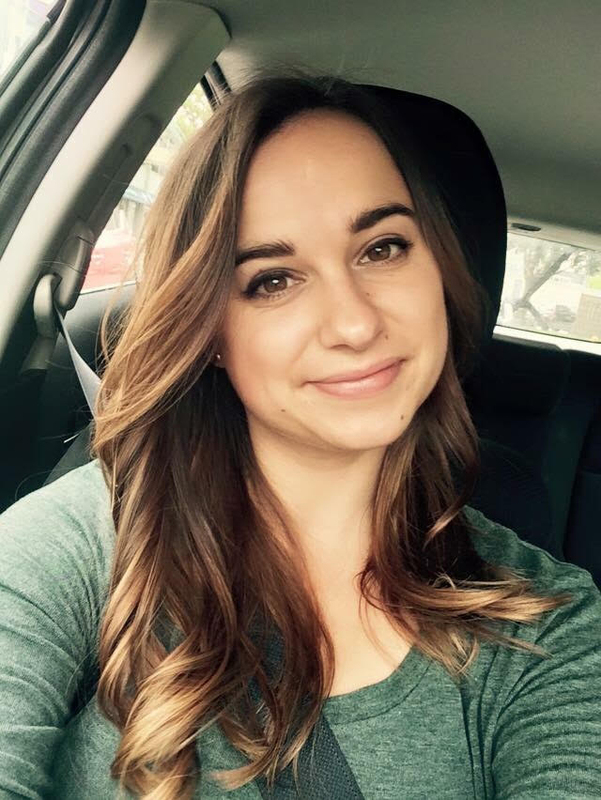 She thrives in small, focused classes, and avoids the large mainstream classes because she wants to connect with her students on a deeper level. A past wrist injury means Martina personally has to modify when she teaches, and her transparency about this I felt was important for our clients to see, as we both think it is important to convey the message that yoga is for everyone and is 100% adaptable to meet unique needs of each person. Martina is sincere in her pursuit to make a positive impact in the lives of others and is also committed to her own personal growth. With her focus on personal connection and bright personality, she’s always a positive contribution to the Prana Team. 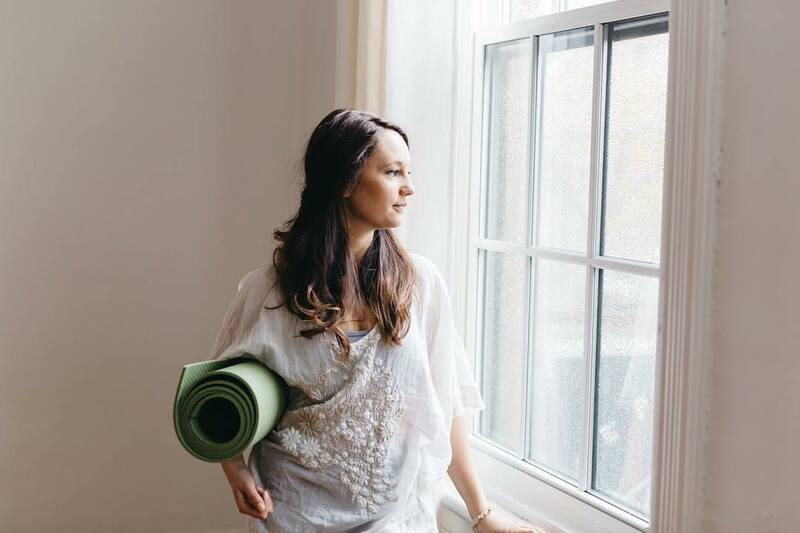 Growing up in London, Ontario, Martina found yoga over 13 years ago and became a yoga teacher 8 years ago. Today Martina is a Yoga Teacher (500-RYT), Registered Holistic Nutritionist (RHN), a Meditation Coach, and Corporate Wellness Consultant. 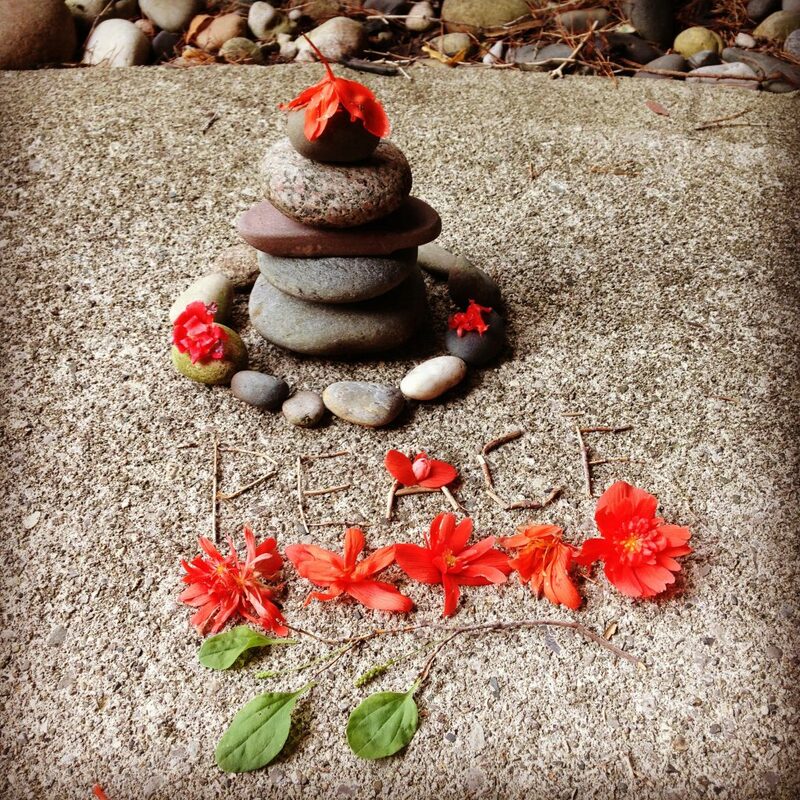 Focusing on a yang/yin vinyasa flow, she finds fulfillment in a practice that starts and ends with deep relaxation. Life isn’t either/or — it can be all of the above. Martina has found her balance by understanding yoga teachers can have a glass of wine and nutritionists can eat ice cream. Life isn’t about perfection it’s about creating a sustainable, positive life. 1. Style of yoga you teach and how you’d describe your flow? I would say a yang/yin vinyasa flow. I like to start strong and end with a deep relaxation. 2. Numbers of years have you been practicing yoga? I’ve been practicing for about 13 years. 3. Where did you grow up? 4. Favourite place to visit? 5. Favourite “out of the ordinary” moment or experience? I love when synchronicity happens. When you’re thinking about someone or something and then you just run into them. Those are my favourites! 6. Vegan, vegetarian or flexitarian? 7. What stresses you out the most? Not getting a good night sleep. 8. Most important part of your self-care routine? Healthy food! Feeding my body the nutrients it needs to be able to do all the things I want. 9. What’s your hidden talent? (something you enjoy doing or are good at, but most people aren’t aware of). From October to April of this year, I had the privilege of teaching 23 yoga classes to counselors, residents and clients at Anova (formerly Women’s Community House). As a former victim of relationship violence like myself, sharing the very thing that healed me with women still living in the pain I used to be in, was meaningful beyond measure. I don’t know if I really could have handled serving these women as I first intended to four years ago, when I first launched Prana and approached Anova as a newly initiated entrepreneur full of desire to help abused women. As it would be, the universe must have thought so as well, because at the time Anova was undergoing major renovations and felt the timing wasn’t right. A little disappointed, but not deflated, that moment offered clarity and my first lesson from the trenches: timing of even good intentions is important. In hindsight, I don’t think I was as strong I needed to be to go unaffected by the triggers I’d be exposed to or be able to shut down the impulse to play savior to each abused woman I met. And realistically, I didn’t have the resources to be offering free classes– we were still trying to find enough clients to be sustainable. I decided to revisit this karma project once I had enough clients to move some of the profits to an in-house “angel fund” for a more sustainable model of programming. Free programming tends to dwindle over time due to lack of commitment or having to pull resources– scenarios I really wanted to avoid. Crank the clock ahead three years, when my biggest concern isn’t so much about getting that angel fund started, but looking for ways to support an administrative assistant. Funny how the realities of running a business creep in and highjack the grandest of plans. Enter again in the Universe who took care of the details I was so concerned about and declared I was ready mentally and emotionally to serve abused women. With Lore Wainwright, from Pillar Nonprofit, positioned as the connector, she introduced me to Sandra Maniago from Loko Sport Active, owner of a local athletic wear company, who happened to be looking to sponsor yoga classes for abused women. Words cannot describe the gratitude that flooded my entire being, so much that “thank you” just didn’t seem enough. Lesson two from the trenches: stop thinking you have to do everything by yourself. 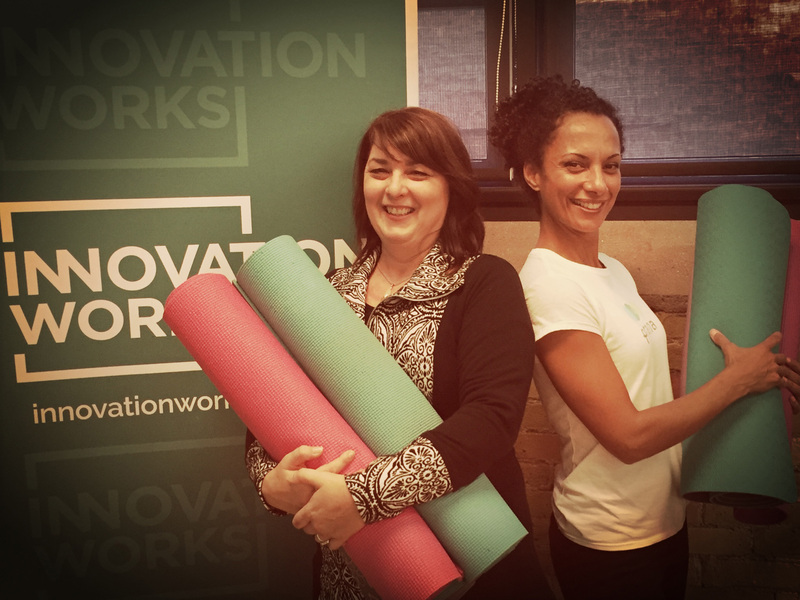 With the green light from Anova, I set to collecting new and gently used yoga mats for the program– a stretch for someone who didn’t even like asking people to buy girl guide cookies as a kid. The support we received was overwhelming. In less than two weeks, 20 mats were collected from various beautiful souls in our community and I was administered another booster shot of gratitude. This desire of helping abused women and the process of it coming into fruition, has greatly humbled me in countless ways and affirmed what I already knew: the Universe conspires to support your heart’s deepest desires, so long as you just take that first step and keep at it. Once we got the program up and running, Sandra was able to sponsor weekly classes for the month of October, just enough time to make me realize that even though I don’t have my own in-house angel fund established yet, my company had enough clients to make offering free classes sustainable. It turns out, we didn’t need the angel fund at all because another path was shown. Lesson number three from the trenches: always be open to other possibilities that don’t look anything like you had imagined. Needless to say, by week four, I was committed heart and soul to serving the women and staff at Anova. There was no way I could just walk away and wait for “someday.” Over the remaining 19 weeks, I confidently served the most vulnerable women desperately trying to pick up the pieces of their lives and helped them find a moment of relief from it all. And a few, despite the survival state they were in, committed themselves to making yoga an integral part of their healing. I know what it felt like for them to have that first taste of inner peace, it’s the very thing that led me to my healing. Will I see the rest of the path these women take? No. Will they all be led to a better life like I have been? I can’t say for sure, but I don’t need to see the rest of their story. Just being a part of planting seeds that whisper something better is available to them, is enough. Next fall, the Prana team is in the works of expanding the programming we offer to create greater impact, appreciating that we are indeed a part of something much bigger than we imagined. Perhaps we do have an angel fund after all… it just doesn’t have anything to do with funds. Introducing YOGO: Your Yoga Class Can Now Fit in Your Wallet! With the arrival of summer comes disrupted routines and schedules, leading to the inability to always make it to yoga class. 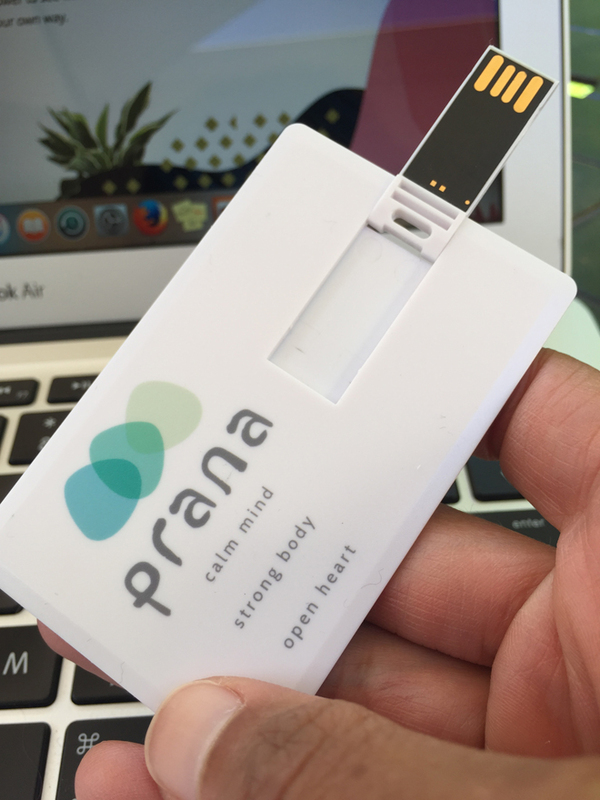 Instead of searching YouTube videos looking for a yoga teacher that suits your needs or risk frustration with delays in streaming, why not take Prana with you wherever you go with the YOGO USB card? Four videos– Two short programs and two long programs in both beginner and intermediate levels based on the classical hatha yoga sequences we’ve worked on together in class. Intermediate level videos have a little vinyasa flow added in for a bit of extra spice. Even if you haven’t worked with us before, this video won’t disappoint yogis who have spent at least a little time on the mat. Note: this is not a how-to video for people brand new to yoga. Audio only option– if you are up for the challenge, you can upload the audio only files to your iPod to practice along with. For $60 +HST the YOGO USB card gives you the freedom from logging in and streaming. Simply plug it into any computer or Smart TV, select your file and get your yoga on. If you would like to purchase a YOGO USB card, please contact us to place your order or find out more information. I would like to give a special mention to our production team, Berdan Creative for the filming of these handy dandy videos and post-production fun that ensued. Thank you to Susan Steven for nailing the USB medium and branding so it’s functional and appealing for our clients. And last but not least, a shout-out to the brave souls whose sweat, focus and positive vibes were poured onto their mats while making this video alongside me: Rachel Berdan, Melanie Frijters & Jennifer Murray– you totally rocked it! Comments Off on Introducing YOGO: Your Yoga Class Can Now Fit in Your Wallet! For the month of April, Prana was the lucky “alternative field experience” host for Western University student, Beatrice Wright (pictured below). I would be lying if I said I wasn’t at all flattered to learn that she sought us out for her final work experience before graduating from teacher’s college. Her intention was to learn how to better manage stress for herself and to be able to pass these life skills on to her students. Judging by her fresh, eager and positive attitude, I am certain her students will benefit greatly and Prana is more than pleased to have been a part of Beatrice’s personal and professional development. We wish Beatrice much success in her new teaching career and feel sincere gratitude for the time she spent with us gathering client testimonials and creating marketing materials that will help tell our story. Below is a special blog post written by Beatrice from a the perspective of a graduating university student,speaking about self-care; how we stray from it and the importance of coming back to it. In Loco Parentis: Be your own teacher. As a teacher-in-training, I often try to predict how my students are going to react to activities and assignments and I plead guilty to projecting my feelings onto them. They, being of a different generation, may not find a video with educational value as inspiring or giggle-fit-inducing as I do and the lesson ends up falling flat. It is difficult for teacher and students to be on the same mental level, but crucial to the students’ success and for the overall energy of the classroom. Students can sense when their teacher has given up trying to make connections between the (sometimes boring) subject matter, to the students’ lives outside the four walls of the classroom. Once they notice this shift, an opportunity to make a long-lasting connection and powerful learning has been missed. How does this relate to adult wo rkplace dynamics and stress? Well, the lack of motivational zeal and purpose in adults at work is not much different than the apathy of students in school. I believe that the difference lies in the teacher factor: teachers are constantly in a position of care and nurture, what we call “in loco parentis” in Latin, “in the place of the parent” in English. The transition from relying upon somebody in loco parentis and depending on oneself for your productivity and motivation, and caring for your body (nutrition, exercise) and soul (happiness, self-care) is not something that is currently taught at school. As adults, we often need to reconnect to our own ability to monitor our moods, productivity, motivation, and self-care and act in our own best interests. It takes time to unlearn these unhealthy habits, time that could have been invested in other things if we had learned about self-care and balance earlier in life. Finding balance is something that everyone struggles with, whether you have a young or old family, or are balancing taking care of yourself and your career, we need to invest some of our energy into ourselves. With nobody in loco parentis at work, how are you taking care of you? Do you allow yourself to eat lunch away from your desk? Perhaps in the fresh air outdoors? Do you give yourself an exercise recess and a healthy lunch every day? These were necessities when we were knee-high, and they still are necessities as a means of positive coping mechanisms for stress, but we have forgotten how to give ourselves a break. I challenge you this week, starting today, to let yourself take a few moments every day to unplug from work, unplug from stress, and just be with YOU. Close your eyes, take a few deep breaths in, visualize yourself in an aura of warm gold light, and give yourself a mental hug. Be your own in loco parentis: nourish, educate, motivate, and reward yourself. To be honest, when I first met Sandra Maniago of Loko Sport I hadn’t heard of her brand, let alone been familiar with her line of athletic wear. What brought us together was her desire to sponsor yoga classes for abused women and my desire to expose abused women to the healing power of yoga. So with the help of Pillar Nonprofit Network, we planned, plotted and came up with a partnership and a course of action. Together we delivered weekly yoga classes for the month of October to residents and counsellors at Anova (formerly Women’s Community House) and of course, a friendship-in-the-making blossomed between Sandra and I. In the process, I got to know more about Sandra’s dedication to producing ethical, sustainable athletic wear and her desire to give back to her hometown. It was a surprise to learn that her company has been established for over 10 years and sup plying athletic wear to boutique stores across Canada. When I checked out her online store (lokosport.ca ) I was impressed with the bold, yet classy designs and the beautiful women of various shapes, sizes and ethnicity that were promoting her clothing on social media. All of this made her brand approachable, as well as authentic. Not surprisingly, when the opportunity to become a Loko Sport Ambassador came up, I was honoured and more than happy to help spread the word for Sandra in our shared community of London, Ontario. In fact, I wanted to do even better than that. I wanted to give Sandra a turbo-boost and offer the entire Prana team up as Loko Sport Ambassadors to promote this Loko Sport faster and farther throughout our city. So, if in the coming weeks you see our teachers wearing her line– which is of excellent quality, might I add– or sharing their Loko Sport Ambassador pictures on social media, I ask that you help us spread the word as well. Like and share our posts with your friends and if you are a female (sorry guys!) looking for athletic wear, shop at lokosport.ca, a local, inclusive brand that is 100% made in Canada and is socially- AND ethically-minded. Remember… we vote with our dollars and our attention. Bottom photo: Ambassador in action! Wearing clothing from Loko Sport’s Spring/Summer 2017 Collection. Top: fluttered tank in heathered turquoise, pants: ribbon-mesh capri in lime mix w/ turquoise mesh. 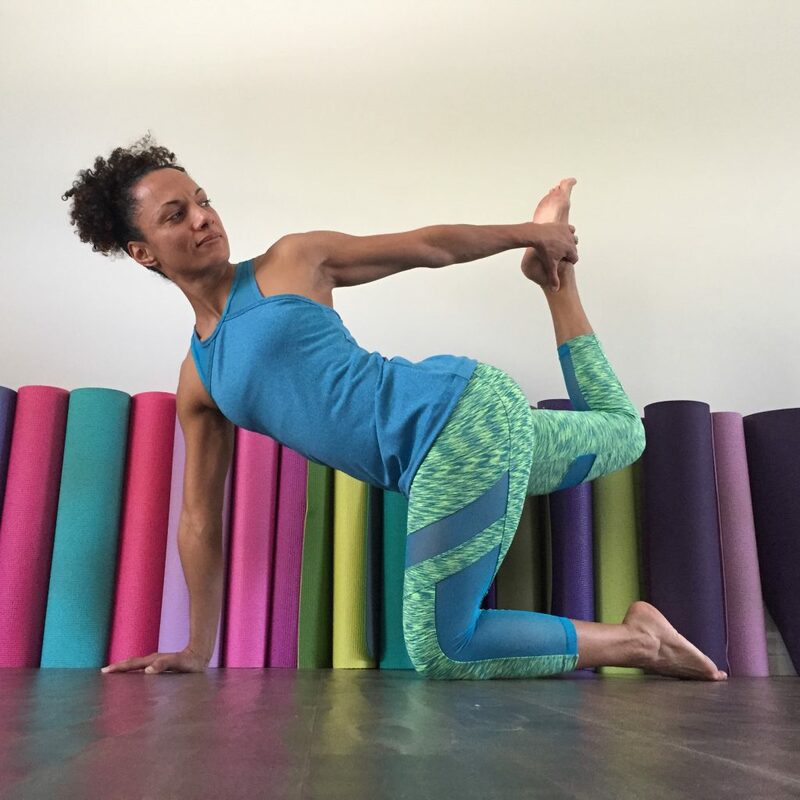 Bring lightness to mind, body & soul this spring with a 7-week session of classical hatha yoga classes taught by Chantelle. Classes start May 6, so register soon!